Amazon’s VP of its voice assistant product Alexa Automotive has said that the in-car customer experience has to change and that the industry is going through a massive transformation. 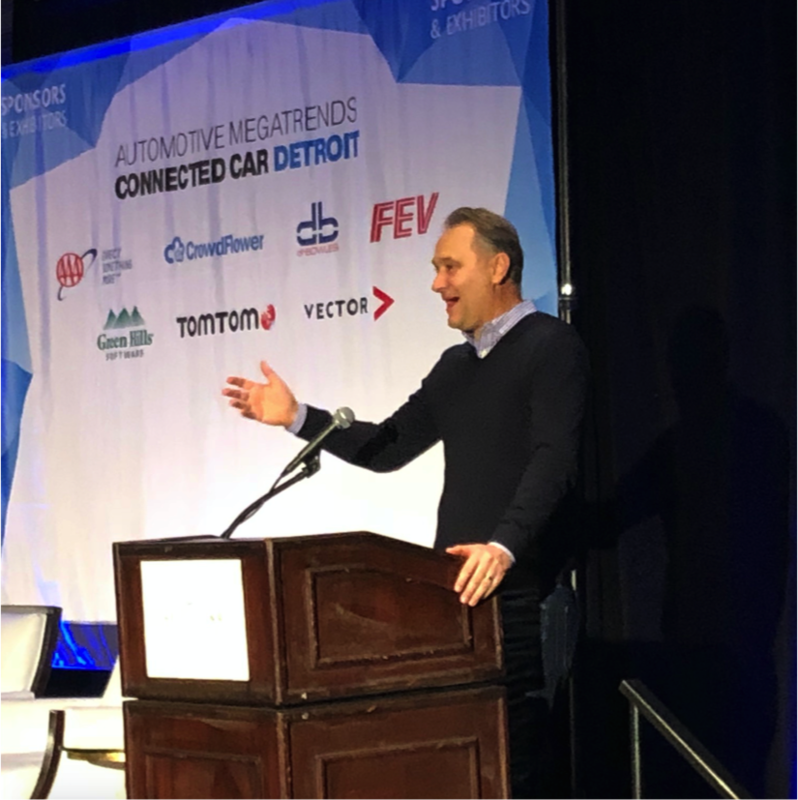 Ned Curic gave the keynote speech at the Connected Car Detroit event attended by SMART Highways editor Paul Hutton and said that in the next five or ten years the mobility problem will be looked at differently that by 2025 every car will be connected and whichever company “gets the mobility experience” will “win”. “Of the owner experience the main issue is the voice recognition,” he said, pointing to research on customer views. “Other things are far less of an issue, but year after year, voice is a problem, even ahead of Bluetooth issues. Curic said that Ford is adding Alexa to vehicles now with GM and Toyota adding the functionality soon. He said that the car and the smart home will be integrated so that use of voice systems, but the connected car is next and then you’ll have the car and smart home will “live in one ecosystem” so that you can use Alexa to remotely start a car and set its temperature, report the amount of fuel it has or set the fastest route to work before you have even got in. He explained that he heads up two teams working on a connected car experience, one on the interactive experience and the other on the telematics.